A debate over mummified birds brought to France after Napoleon's conquest of Egypt played a central role in delaying acceptance of evolutionary theory; an episode in the history of biology revealed in an Essay published September 27 in the open-access journal PLOS Biology by Caitlin Curtis of the University of Queensland in Brisbane, as well as Craig Millar, David Lambert. The debate between the naturalists Georges Cuvier and Jean-Baptiste Lamarck took place five decades before Charles Darwin published The Origin of Species. Cuvier had developed a theory of bodily form and function called the "correlation of parts," in which every part was integral to the function of the whole. In this model, evolution would be disastrous, and thus Cuvier argued for "the fixity of species," accepting extinction but not gradual adaptation to new environmental conditions. Lamarck, meanwhile, proposed a gradual transformation of species over time in response to environmental changes. While today Lamarck is most famous for incorrectly arguing for the "inheritance of acquired characteristics" as a mechanism of evolutionary change, Curtis, Millar, and Lambert note that he was an important theorist and champion of evolution fifty years before Darwin. In 1798, Napoleon invaded Egypt, and scientists accompanying the army brought back to France hundreds of mummified animals, including many Sacred Ibises, revered by ancient Egyptians. Cuvier examined these birds, and correctly linked them to recently collected, unclassified birds in the collection of the National Museum of Natural History in Paris, making him the first scientist to test the idea of evolution. The similarity between the ancient and recent specimens indicated to Cuvier that the bird had not changed form in two thousand years, and thus supported his idea of the fixity of species. Lamarck disagreed, arguing that much more time would be needed to accumulate observable change in a species. In 1802 the two scientists (and another colleague from the Museum) noted the similarity of a collection Egyptian animal mummies to contemporary specimens, and presented this information to the French Academy of Sciences. Cuvier and Lamarck subsequently disagreed about the significance of these findings, however, and continued the argument for more than two decades. Curtis and colleagues argue that Cuvier's greater public prominence and dramatic presentation style tipped the scales in favor of his incorrect theory, which was not effectively refuted until after Lamarck's death in 1829, and continued to influence scientific opinion until the publication of Darwin's theory reshaped evolutionary thought in 1852. 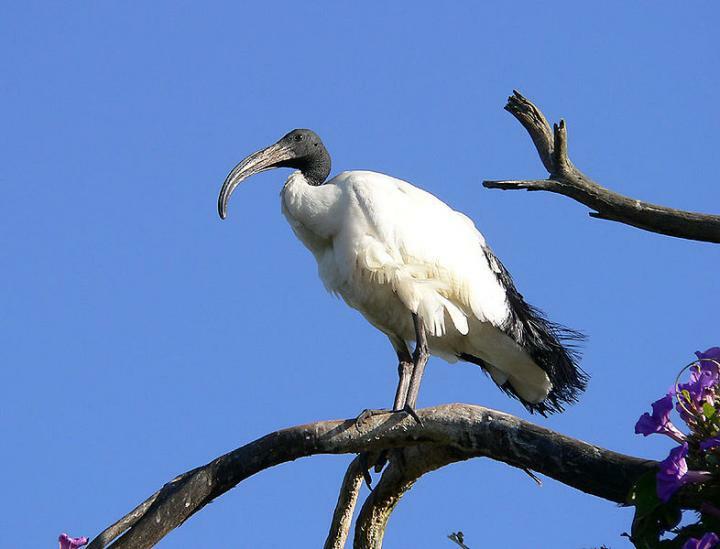 "The case of the Sacred Ibis highlights the disproportionate influence that a charismatic and dominant personality like Cuvier can have," according to Curtis and her colleagues. "His unwillingness to consider the potential for the accumulation of small differences over long periods of time set back the acceptance of evolution for the next five decades." "In the late 18th/early 19th century, debates such as these often took place in public spaces like the halls of the Paris Museum." Curtis said. "These days, public debates may have shifted to social media and news outlets, but debates about important scientific issues are still taking place and have a big influence on policy and society. The story of Cuvier highlights that although 200 years have passed we are still grappling with the issue of dominant personalities in science having disproportionate influence on its direction." Image Caption: A Sacred Ibis. Funding: Human Frontier Science Program http://www.hfsp.org/ (grant number RGP0036/2011). The funding was received by DML. The funder had no role in study design, data collection and analysis, decision to publish, or preparation of the manuscript. Royal Society of New Zealand https://royalsociety.org.nz/ (grant number n/a). The funding was received by DML. The funder had no role in study design, data collection and analysis, decision to publish, or preparation of the manuscript.